Selfishly - free from dividends tax*, securities transfer tax and capital gains tax (probably the heaviest over a long investment period), it would enable me speed up the growth of my personal wealth. Altruistically - the purpose of the TFSA dovetails beautifully with our EasyEquities mission of bringing financial dignity to all, by enabling everyone access to a simpler tax-savings vehicle than had previously been available. 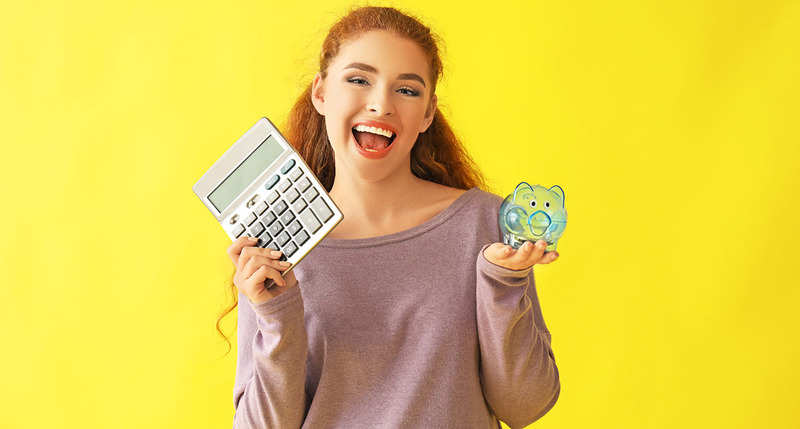 What I was initially most excited about was that I could open a TFSA for my daughters, who would benefit substantially from compound interest over a long investment period, and therefore save even more on capital gains tax. There are a few critical investment principles to follow to succeed in investing, one crucial one of which is minimizing fees and taxes. The unfortunate thing I’ve found, particularly in trying to explain it to others, is that it’s very difficult to appreciate just how big an impact it can make. Building a spreadsheet to work out the potential returns on a TFSA investment is DEFINITELY not as simple as I initially thought. I want to be able to change some of the inputs and see what the effect is on the whole model, so after many versions and feeling a bit like I’m living in Groundhog Day I’ve come up with something that satisfies my inner detail orientated geek, but that hopefully isn’t too complex for a TFSA newbie to use. While a TFSA is pretty simple in its operation, the way a person chooses to ‘operate’ it could differ substantially. The current iteration of my calculator gives what I believe is a nice view of what a TFSA investment can look like over time. Go big once off or contribute monthly? My spreadsheet caters for both. You could make larger initial deposits in early years and then stop (for a period of time or altogether) as life and difficult times might dictate, OR you could be a super-diligent early adopter that sets up a monthly debit order of R2750 a month in March every year to ensure you hit the full R33k annual limit each year and rush to the R500k lifetime limit in 16 years. Full declaration – this calculator is very much a work in progress and by no means perfect, so would the Excel virtuosos please hold the hate mail. In addition, I mentioned before that every investor operates their TFSA differently, and similarly everyone will have different needs, timelines and levels of risk that they are comfortable with. This is just a way for you to play with different scenarios, but you will of course have to always consider whether the style and timing of your investment is right for you. For those that have questions, feel free to tweet me and I’ll try to answer and help and ideally develop this tool out into an epic tool in future. I’ll run you through the basics below, together with a scenario (of my personal situation) to give you an idea of how it all operates. Contributions at start (C8) – How much have you contributed to (deposited into) your TFSA account so far? An initial account value (C9), IF you have one. You may have been able to transfer a value across from another fund OR your contributions may have grown (returns) in value. Annual return (C10) – the average annual return you expect / hope to make on your investment over time. I was born in 1972. YES – I’m an ‘old ballie’, thanks for noticing. I have been fortunate enough to be able contribute R60k in total since opening my TFSA. The value of that R60k contribution is currently valued at R68,163. I enter these values into C8 and C9. I hope / expect to make at least 10% on average in returns each year. Looking at the above analysis of my own TFSA the first thing I realize is that if I plan to retire at 65 it is probably unrealistic to expect to continue making monthly contributions after that time as I’ll hopefully be drawing money, not paying in. Put in a few lumps sums each year. I can do this at any point in the model by entering anticipated / planned lump sum amounts in column G.
Increasing the monthly contributions to R2,000 per month, I hit the limit at age 65. The ultimate value of my investment at that point is much less at only R1,7 million BUT that is because there are 19 less years (84-65) for the effects of compounding to work. If I jump down to the place in the model the limit is reached – you can use the handy hyperlink in cell D15 to do that – and then continue to scroll down to the same year (1956) in which I would have reached that the limit, I can see that the ultimate value (if I don’t withdraw anything) is R10,7 million (R3.5 million more) because the money has gone in quicker, allowing for compounding to work over a longer time, on a greater sum of money. And this is the type of fun discovery / learning that can hopefully be made from the use of this model. Here’s a great thought to leave you with. A 26-year-old, starting today, and investing just R1,000 a month (maybe hard initially, but definitely not as they earn more), could potentially hit the annual contribution limit at age 67 with a cool R7,55 million in the bank and ZERO tax to pay on it. *A TFSA will never be subject to dividend withholding tax if you invest in local ETF’s. The only time dividend withholding tax will be applied is when the ETF you've invested in has foreign holdings. In that case you will be subject to foreign dividend withholding tax, which will be applied to ETFs that have foreign holdings and receive dividends from the foreign companies. Disclaimer: This compound interest calculator is provided to you by First World Trader (Pty) Ltd t/a EasyEquities (“EasyEquities”) as a guide only, should not be construed as investment advice and has no legal effect on any of your investments. You use this online calculator at your own discretion. The criteria, factors and/or formulae used by this online calculator are subject to change at any point. EasyEquities, its management, its employees, representatives, agents and affiliates, give no warranty, express or implied, as to the accuracy, reliability and completeness of any information, formulae or calculations provided through the use of this calculator and does not accept any liability for loss or damage of whatsoever nature, which may be attributable to the reliance on and use of this calculator. We do not warrant the integrity and security of this calculator or that it is free of errors, corruption, viruses, interception or interference. You should always seek appropriate financial advice before investing.